i was wondering how to put back on the factory grills back over my alpine type-s 6x9s. I had to use the spacer because they were hitting the bars in the trunk. 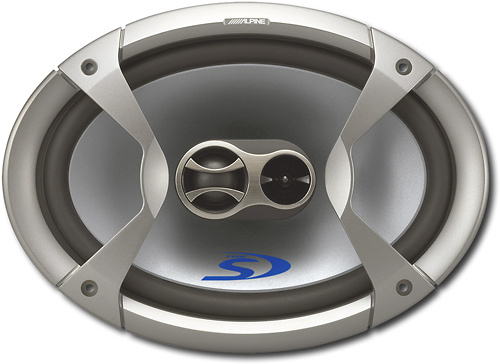 can't tell you what to do without seeing pictures of the speakers and the "spacer".... is this the speaker? if it is, you will have to take that gray plastic thing that has "Alpine" on it off. Yea with aftermarket speakers, you dont need that visual mount, because the factory grill's will cover them up anyway. '92 Accord LX Wagon....only 1 rear speaker?